All contractors face physical hazards and liability risks on the job every day, making contractor liability insurance essential. These policies can be confusing but Mackintire Insurance Agency can help you navigate through the options to design a Massachusetts contractor liability policy to minimize your risks. Mackintire Insurance can work with you to address your specific requirements, whether you are a general contractor, electrician, plumber, roofer or other specialty tradesperson. The most important policy to an Artisan Contractor is the commercial liability insurance policy. The commercial liability insurance policy will defend you and pay on your behalf when you are found legally liable for bodily injury or property damage that is caused by your business operations.…Many insurance companies have developed special insurance programs to address the insurance needs of these small contractors with programs offering broad liability coverage at competitive rates. Commercial liability insurance covers job site accidents and general business activities. General property damage insurance typically covers hand tools and materials but additional coverage is available for generators, nail guns, welders and other expensive equipment. Workers compensation insurance, which is required by Massachusetts state law, and protects you if your employee is hurt at work. 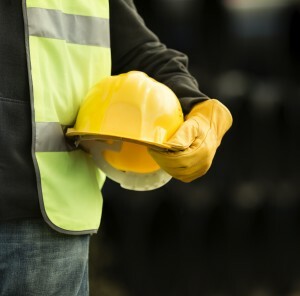 If you are a general contractor, be sure that all subcontractors carry their own workers compensation insurance to minimize your own risks. Builder’s risk insurance covers physical damage to a building during the construction process. Builder’s risk insurance is usually required by lenders prior to financing a project. An Artisan Contractor is a carpenter, plumber, electrician, mechanic, landscaping contractor, mason, or many other types of skilled contractors who specialize in a certain craft. While often referred to as “contractor’s insurance,” artisan’s insurance (also referred to as tradesman insurance) is actually a different product than general contractor’s insurance and is sold by different companies. This can be very confusing when trying to make sure your business is properly insured. Mackintire Insurance Agency can craft the perfect contractor’s liability insurance package for you, whether you are a general contractor for large-scale construction or an independent electrician or plumber requiring artisan, Contact a Mackintire agent to discuss the contractor insurance policy that is right for you.